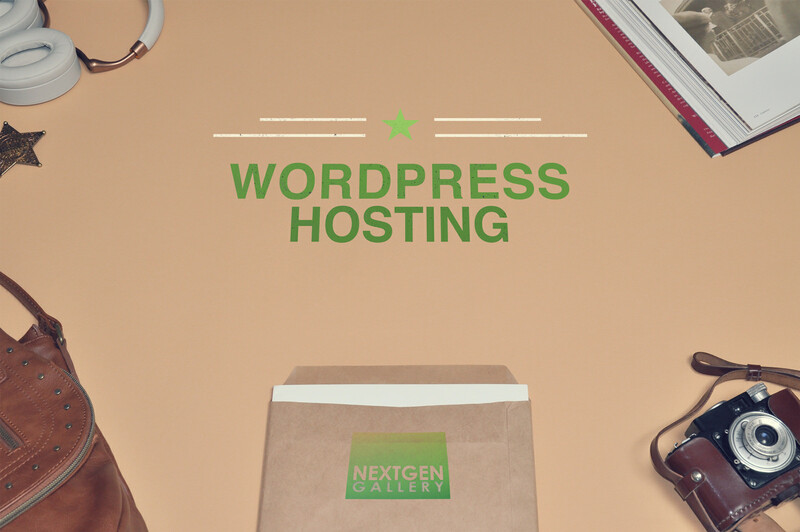 The WordPress hosting industry changes rapidly with new technologies, new businesses and business who no longer exist. So we decided to update our original recommended WordPress hosting article with some of our current favorites. These recommendations are determined from combining our own personal experiences in addition to those which we see from NextGEN Gallery users like yourself. With that said, here are our current recommendations segmented by user level and price structure. For the beginner, or the person who just needs the most basic hosting and the least expensive price we recommend looking at SiteGround. It offer a variety of plans at a low cost and seamless upgrading to their intermediate and advanced Managed WordPress Hosting options for users who level up to Intermediate status. For the user who wants more from their host, whether it's phone support, faster speeds, more caching options, or anything else then these are our recommendations. You can start with SiteGround's higher plans which include caching and managed services. Last, but definitely not least, are the companies who offer endless possibilities with the most control. They do come with a higher price tag, but for advanced users they're likely more ideal for you. WP Engine offers complete managed hosting for WordPress, CDN support, SSL support, ongoing security, free backups and much more. If you'd like to learn more please click through to their website. You can also continue reading below where we talk more about our original recommendations. WordPress hosting is important because with a poorly performing host, you run the risk of portfolio downtime and that can impact business negatively. At the end of the day, a good host should be reliable, performance flawlessly and fast, be compatible with the most popular WordPress themes and plugins and provide a price that is appealing to customers. There are so many hosting styles and companies to choose from. In this article, you will see the top four companies that have served as the best website hosting for photographers on the market. NextGEN Gallery users go way beyond just photography. They are a variety of other creatives, families and anyone wanting a beautiful gallery on their WordPress website. So with that, we are happy to share the best WordPress hosting companies available, each of which we have personally tested and trust. The article will divided into two sections; Basic and Advanced. Majority of small businesses needing a website use the basic option. Roughly 80% or so. For these we recommend the shared hosting options from Bluehost and Dreamhost. 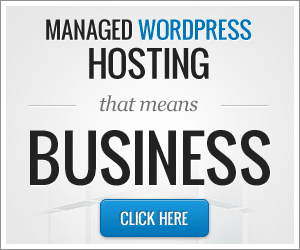 As you might suspect, Bluehost is our favorite WordPress hosting solution for small businesses. Here are some of the great features of the hosting platform. WordPress hosting with Bluehost is extremely simple. You sign up for their unlimited hosting plan, get your free domain and shortly after signing up you can us the one-click install to have WordPress ready to go on your website. 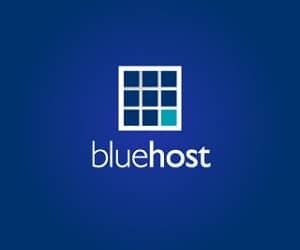 WordPress hosting with Bluehost starts at $4.96 a month. Next up is Dreamhost, which has a very similar plan to Bluehost. Aside from the monthly cost, the main difference is the user interface. Many WordPress hosting companies use software called cPanel for customers to manage their accounts. Dreamhost went a step further and designed an extremely easy to use interference for customers. Also like Bluehost, with Dreamhost you have a one-click install interface to get your WordPress website up and running in no time. WordPress hosting with Dreamhost starts at $8.95 a month. Advanced Options are for small businesses needing more than entry-level shared hosting. Typically advanced options come with tighter security, faster speeds, cloud access and so much more. For these options, we recommend WP Engine and Synthesis. WP Engine is the more popular of the two, being that they have been around longer. WP Engine is considered a managed WordPress host, meaning that they take care of keeping your site alive, performing at its best and as secure as possible. All you have to do, as the customer, is use your WordPress website. There are a lot of really awesome features that WP Engine provides. If your website managed to get hacked, they will fix it for free. If you are coming from another host, they will migrate you to their servers for free. They provide a list of curated plugins that they approve and also a list they do not approve of. Like the plugins, they have also tested themes that they test and approve. WP Engine provides backups as an option. The hosting is also scalable using WP Engines content distribution network or the customer's own Amazon S3 account. WP Engine is trusted not only by us, but also FourSquare, SoundCloud and so many other amazing brands. 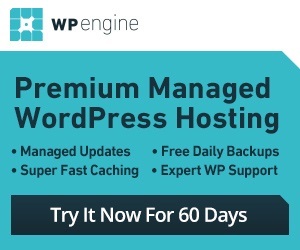 WordPress hosting with WP Engine starts at $29 a month. Last, but definitely not least is Synthesis - the newbie that is extremely impressive. Synthesis is very similar to WP Engine, being that it is also a managed WordPress host. One major feature that Synthesis has over the competition is its security services that are handled by Sucuri, the leading WordPress security company. Unlike WP Engine, though, Synthesis charges an additional fee to migrate an existing website to its servers. There are two options for hosting with Synthesis. The first is to use any Genesis theme, and being that Synthesis is brought to the industry by the makers of StudioPress (some of the best business WordPress themes) it is no surprise that this plan exists. The second option is to bring your own theme to the table. When hosting with Synthesis you have two options: WordPress or WordPress using a Genesis child theme by StudioPress. WordPress hosting with Synthesis starts at $27 a month. In this article, we went over the best WordPress hosting options available to creatives and small businesses. We showed you the shared hosting options from Bluehost and Dreamhost. We then showed you the managed WordPress hosting options from WP Engine and Synthesis. At the end of the day, the best WordPress hosting option is the one that fits your needs the most. So we highly recommend visiting each, talking with them, ask questions and then decide. Once you have picked your WordPress hosting provider, it is time to pick a WordPress theme. Being that in addition to developing NextGEN Gallery, we also created the best WordPress theme for photographers, we may be biased about the Photocrati theme. However, there are a lot to choose from. In fact, there are a lot of WordPress portfolio themes with NextGEN Gallery integration.